You’re probably already asking at least one of them – but it’s never too late to stop. Looking at the clock. Staring into the distance. Short, nondescript answers. A CEO recently told me how he’d frequently see this body language from an employee during their one-on-one meetings. Flat. Disinterested. Preoccupied. It felt lousy to witness, but it’d always been this way. He’d silently concluded that he was wasting both of their time. To see if I could help, I asked him what questions he was asking. He shared them with me… and then it clicked. The once hazy picture zoomed into focus: This CEO was asking the wrong questions. All of his questions were common questions, no doubt. But therein lay the problem. Stock questions might be effective once or twice. But ask them during every one-on-one, every week, and over time, and the effectiveness of the question erodes. The person grows sick of answering the question. Or she doesn’t think you really care to know the answer anymore. Before too long, she starts looking at the clock, staring into the distance, and giving you those short, nondescript answers. Ah, the perennial one-on-one meeting opener. It seems like a solid way to break the ice and initiate the one-on-one meeting. Yet it’s unusual that you ever get an answer other than “Fine” or “Good” in response. While someone might truly be fine and good in reality (which is great! )… the conversation usually stops there. Anything personal you wanted to learn, any sense of rapport you wanted to create dies with the question, “How’s it going?” This is because, as a society, the question “How’s it going?” has become our automatic greeting to each other, so our answer to it has become just as automatic. What should you ask instead? If you’re looking for a casual, open-ended way to kick off a one-on-one, ask “How’s life?” instead. It may not seem like a big difference, but it makes a big difference. “How’s life?” gives permission for someone to talk more personally about life — about what they did that weekend, how their family is doing, how their personal side project is coming along, how they’re managing their workload. “How’s life?” invites the other person to elaborate. Though, quite frankly, almost any other opening question than “How’s it going?” to going to help you learn more about how someone is doing in their life. It can be tempting to use your one-on-one session as time to get caught up on what’s going on. 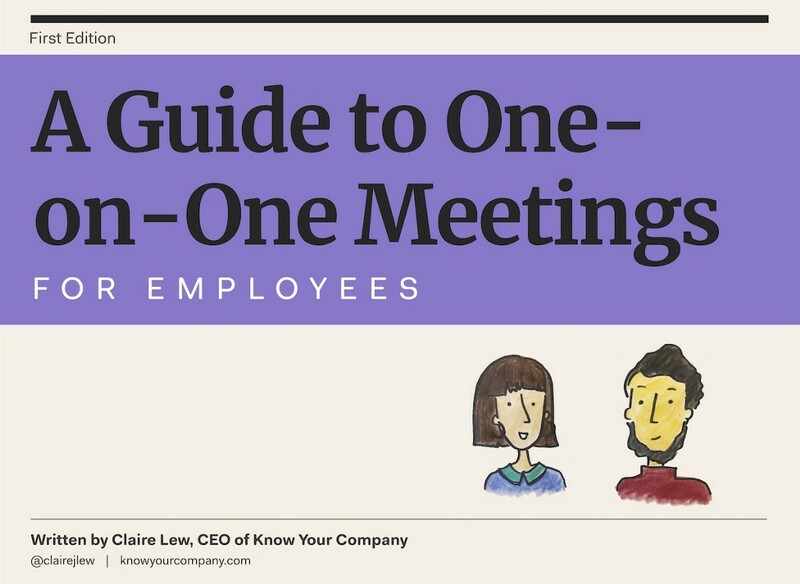 However, keep in mind that this completely squanders the purpose of your one-on-one meeting, to begin with. A one-on-one meeting isn’t a reporting session. It’s not an accountability tool. A one-on-one meeting is your radar. It’s your metal detector. It’s one of the only ways you have to unearth what’s actually going on in your team, and what an employee is thinking and feeling. You can get a list of deliverables in Slack any ol’ time. Client problems, unforeseen issues with the product, messy team dynamics, unspoken personal frustration — this is only time you’ll get to hear that stuff. Some of you may be thinking, “Well, Claire, asking this question has helped me get good insights into the team’s problems.” Yes, I’m with you. This question “What’s the latest on X?” can be great if you’re using it to segue into asking deeper questions. For example, perhaps you follow it up with, “What’s most frustrating about how X has been going so far?” Or, “Where do you feel you need more support in working on X?” Merely asking “What’s the latest on X?” falls flat if you use it singularly. Ask something specific about the project, instead of asking for a general project update. Possibly my favorite question to ask to instead of “What’s the latest on X?” is “Can you tell me about what’s been most surprising about working on X so far?” If an employee has found something surprising, good chances that you’ll find it surprising too. A surprising insight is always useful for you to form an accurate picture of potential issues bubbling up within your team. The intention behind this question is fantastic. You want to help, you want to get out of their way, you want to figure what you can be doing better. However, this question is the worst way to signal that. Why? It’s lazy. It makes the person receiving the question do all the hard work of having to come up with the answer. It’s also a very hard question to answer, especially on-the-spot and given that you’re a person in a position of power. You’re asking a person to critique you, “The Boss,” across all spectrums and come up with something actionable for you to do. If you do ask this question, answers tend to be, “Nothing I can think of right now,” something vague, or an answer that involves something that you’re already doing. Rarely do you get a precise, thoughtful to-do that you’ll then go implement the next day. Suggest something you think you can be doing to help. Then ask, “What do you think?” For example: “I was thinking I’m being too hands-on on this project. Should I back off and check-in with you only bi-weekly? What do you think?” By being targeted in what you suggest — and suggesting it yourself — you make it easier for that person to share the exact ways in which you can support them. You help your employees by suggesting what you think you can do to help, first. This is the vaguest of questions. The problem with vague questions is they invite vague answers. You prompt the person to offer broad suppositions and knee-jerk assumptions, instead of exact details and practical examples. Ask an employee “How can we improve?” and they think, “Hmm, from a business development perspective? Marketing perspective? Leadership perspective? Where to even begin?” Now, some employees you work with will be able to craft a distinct, rich answer from this question. But it’s infrequent. And it’s probable they spent a good chunk of time thinking about the answer ahead of time. For most employees who you ask this question to without any warning, you’ll receive a variant of “I think things are pretty good right now” about 90% of the time. Focus your efforts on asking specific questions, instead of defaulting to general ones. For instance: “What do you think is the most overlooked area of the business?” or “Where do you think we’re behind in, that other companies are excelling at?” Notice how specific each of these questions are. The more specific the question, the more effective they are. You may have cringed while reading this list. Many of you (including myself!) have found yourself asking all four questions, at one time or another. No need to panic or be hard on yourself. You haven’t inflicted irreparable harm to your team. Your sins are not unforgivable. Rather, I hope sharing the unintended consequences of these four questions nudge you to evaluate the questions you ask during your one-on-one meetings a little more closely. The questions do the heavy lifting. 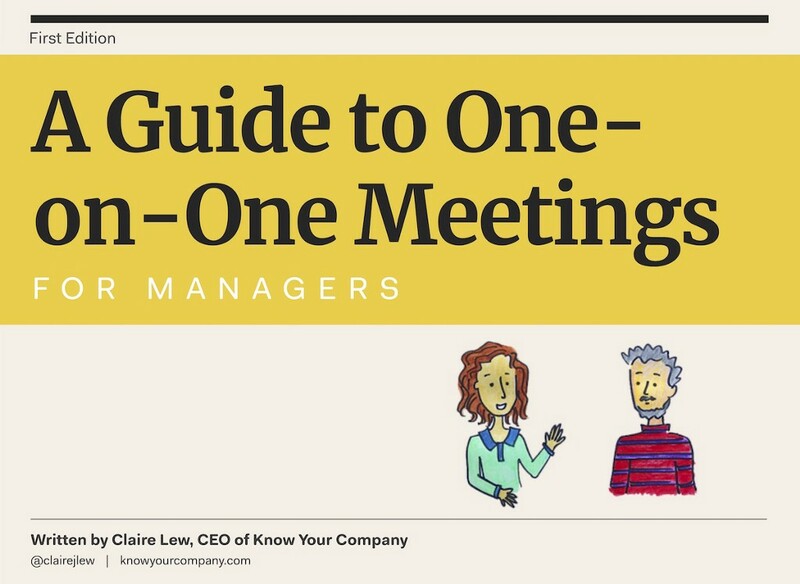 The questions determine the path to which your one-on-one meetings will take. Ask thoughtful, sincere questions, and there’s a higher likelihood your answers returned back to you will be thoughtful and sincere too. The 4 questions you should stop asking during your one-on-one meetings was originally published in Signal v. Noise on Medium, where people are continuing the conversation by highlighting and responding to this story.